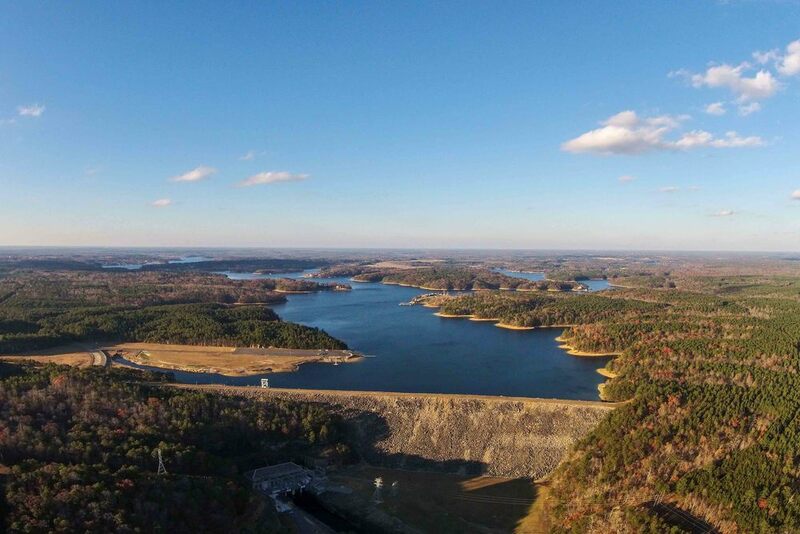 CULLMAN COUNTY – The Cullman County Emergency Management Agency (CEMA) has issued an updated evacuation plan for areas of the county that could be affected by a catastrophic failure of, or high-volume discharge from, Smith Lake Dam (Lewis Smith Dam). It should be noted that this plan is part of a larger national level dam safety program initiated by the Federal Emergency Management Agency (FEMA), and is precautionary in nature. It does not reflect any known safety issue at Smith Lake Dam. The plan itself states, "The probability of the failure of this dam with or without warning is extremely remote. Any unsafe condition or situation would normally be detected early and remedial action initiated as appropriate." The stated purpose of the plan is to "establish procedures for warning, evacuating, and sheltering persons who would be endangered in the event of the individual failure of the Lewis Smith Dam. It also addresses similar emergency response actions which might be required in the event of flooding, caused by emergency releases from the Lewis Smith Dam spillway, turbines, and sluices. The plan is designed to accomplish these functions with minimum confusion and maximum speed consistent with the Cullman County Emergency Operations Plan to save lives and protect property." CEMA estimates that high-volume water flow from the dam would affect approximately 810 residents at 310 residential addresses. Municipalities that could be affected include Colony, Dodge City, Hanceville and Good Hope. The unincorporated areas of Cold Springs, Bremen, Arkadelphia, Black Bottom, Valley Grove and Cates Bottom are also within the scope of the plan. These areas are primarily located west of I-65 Exit 291, along and south of Alabama Highway 69, and around Alabama Highway 91. The following county roads include potentially affected locations: 1, 2, 4, 5, 6, 7, 8, 9, 10, 12, 18, 24, 25, 35, 45, 47, 54, 92, 169, 501, 504, 509 and 517. Additionally, portions of the following state and local roads could be affected: Hwy 69S, Hwy 91S, Colony Road, Johnson Circle, Plum Drive, Ward Hill and Wooley Road. Condition C – The dam is in no danger of failing, but water flow conditions at the dam are still expected to cause downstream flooding. Condition B – A potential failure situation is developing. Condition A – Failure is imminent or has already occurred. Under Condition C, the Alabama Power Company, which maintains the dam, would be responsible for all operations and communications. Under Condition B, the Alabama Emergency Management Agency (AEMA) would be notified by a dispatcher or coordinator at the Alabama Control Center, then the AEMA would contact and coordinate with CEMA. CEMA would activate the Emergency Operations Center at CEMA headquarters and contact law enforcement and volunteer fire departments in affected areas. Voluntary evacuations could be recommended, and could be ordered if conditions continued to deteriorate. The Alabama Law Enforcement Agency (ALEA) could assist with warnings and traffic control in the event of evacuations. Under the most urgent situation of Condition A, the Alabama Control Center would contact CEMA directly, to save time. The Emergency Operations Center would be activated, and local law enforcement and volunteer fire departments would be activated. ALEA would assist with tasks of warning, traffic control and search and rescue. The plan notes that, for residents who live 0-3 miles below the dam, the first notice of dam failure would likely be the discovery of rapidly rising water. Those living in this area should be prepared to move to higher ground immediately and await rescue. Appendices list numerous agencies, and detail the responsibilities of each in the event of a failure incident. Included are notations of which entities have primary, secondary and support duties for each listed task. The plan indicates that significant forethought has gone into preparing for a catastrophic event at Smith Lake Dam, and that tremendous resources will be brought to bear quickly in an emergency. It should again be noted, however, that no resident should be alarmed by this plan. It is a precautionary measure which, under federal law, should take place around every such dam in the country.